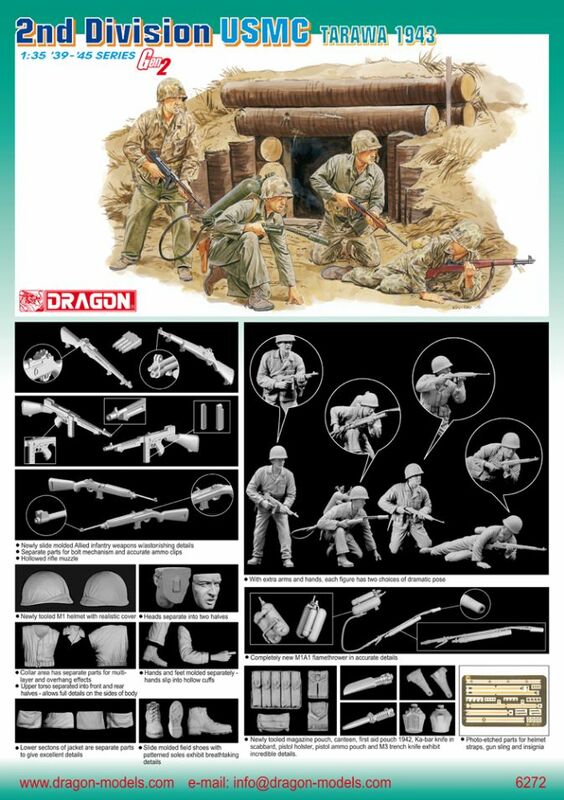 This set includes four excellent US Marines. This set has some great options that make it a definate must build! The Battle of Tarawa was a battle in the Pacific Theatre of World War II, largely fought from November 20-23, 1943. It was the second time the United States was on the offensive (the Battle of Guadalcanal had been the first), and the first offensive in the critical central Pacific region. It was also the first time in the war that the United States faced serious Japanese opposition to a US amphibious landing. Previous landings met little or no initial resistance; Tarawa was to be different. In the end only 17 Japanese and 129 Koreans were alive at the end of the battle. Total Japanese and Korean casualties are about 4,690 killed in action. For the United States, about 1,000 were killed in action, and a further 2,200 wounded. The heavy casualties sparked off a storm of protest in the United States, where the high losses could not be understood for such a tiny and strategically unimportant island.